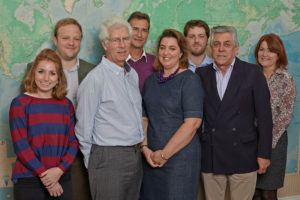 Founded in 1977, MacAlister Elliott & Partners (MEP) has been at the forefront of fisheries and aquaculture consultancy for four decades. As one of the oldest consultancies in the business, MEP has developed an extensive international network of consultants who have the ability to respond rapidly to the needs of our clients around the globe. Our vast amount of experience across the fisheries and aquaculture sectors enables us to provide specialised professional advice. We strongly believe in the principle of sustainability and strive to ensure that the ecosystems we work in are not damaged through commercial endeavour, preserving them for future generations.